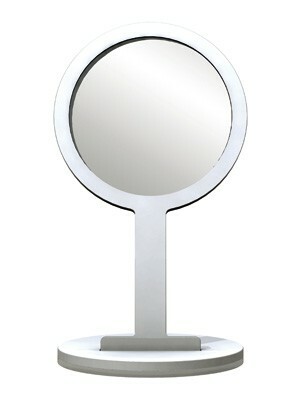 Product information "Mirror TAKE TWO"
Table- and hand mirror, both-sided, one side with magnifying (double), made of acrylic glass, glossy white and polarwhite. Subscribe to the free concept-s newsletter and ensure that you will no longer miss offers or interesting informations about shopdesign. I have read the data protection information .noted. * All prices plus VAT and shipping. Sold only to business customers.